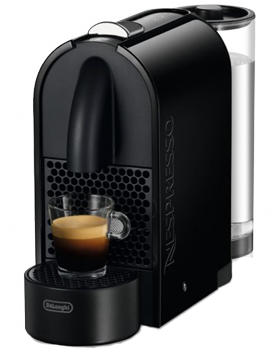 How to set the amount of water dispensed from your Nespresso® machine, and how to return to the default settings. To consistently get a great taste from your coffee capsules, you can program how much water is dispensed each time. 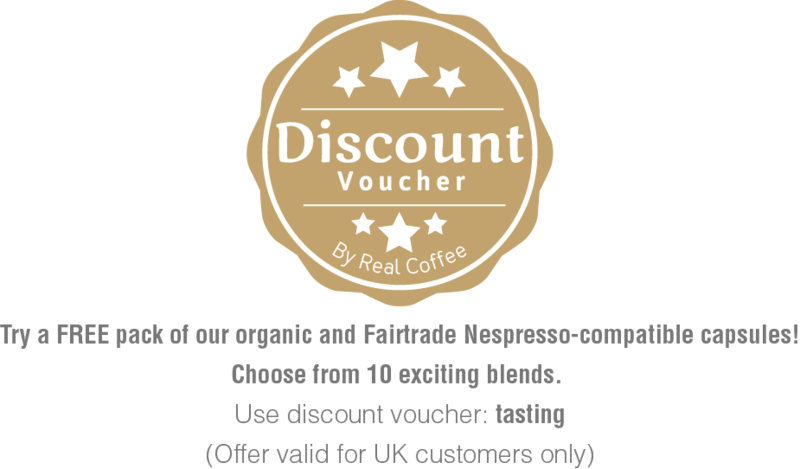 At Real Coffee we recommend an espresso size of 40ml, with a lungo of 100ml. If you prefer your coffee extra strong, adjust the size of your espresso to 30ml and your lungo to 80ml. You can also reset your Nespresso® machine to its default settings. This means your machine will make an espresso at 40ml and a lungo at 110ml. Did you know that your Nespresso Pixie® is designed to remember your favourite cup size? For example, if you primarily use the espresso function, then your Pixie automatically selects this function, the next time you make a cup of coffee. You can also set the desired amount of water precisely according to your preferences. Make sure the machine is turned on and the water container is full. A button will flash for 25 seconds until the water is hot. When the light stops flashing, the machine is ready. Insert a coffee capsule into the capsule compartment. Press and hold the button / function you wish to program. You have now set the desired amount of water and the machine is ready for use again. Hold the Lungo button down while turning on the machine. Turn on the machine and fill the water tank. Allow the machine to warm up so it is ready for use. Now open the handle completely and load a coffee capsule. Press and hold the button / function you wish to program (Espresso or Lungo). Release the button when you have reached the desired amount of water. The machine is now ready for use, and adjusted according to your needs. Do you want to restore the factory settings and thus get back to the amount of water the machine was originally set on your Nespresso Inissia®, then, please follow the instructions below. Turn off the machine's power button. Then hold Lungo button for 5 seconds while the machine is turned off. 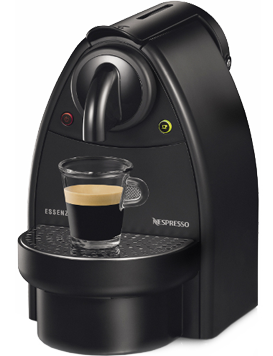 The buttons will flash rapidly three times, and your Nespresso Inissia® has now been restored to factory settings. Setting the cup size of Nespresso Inissia® and Citiz® works the same way. 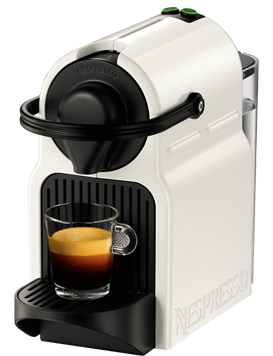 You can use these instructions to set up your Nespresso® machine to make coffee according to your taste. Turn on the machine and make sure that the water tank is full. Wait for the buttons to stop flashing, indicating the machine is ready for use. Release the button when you have brewed the desired amount of coffee. Now you have set up your machine and it is ready for use. 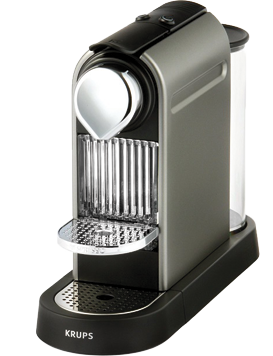 Do you want to restore the factory settings on your Nespresso Citiz®? Turn off the power button on the right side of the machine. Hold the Lungo button while turning on the machine. Read our guide below and get your machine to make your coffee exactly as you like it. Do you want to restore the factory settings on your Nespresso Essenza®? Follow the instructions below? 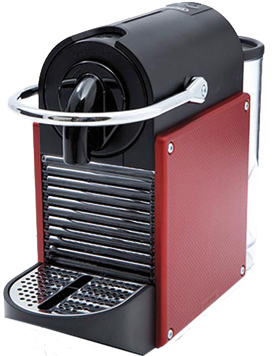 Turn your machine back on while holding Lungo button. Do you want to restore the factory settings on your Nespresso U® machine? Follow the instructions below. Turn on your Nespresso® U machine. 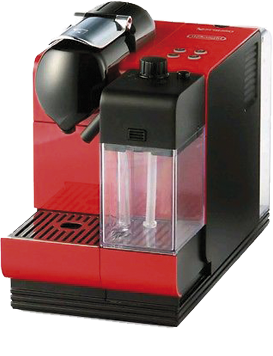 After you restore the factory settings, your machine will make a 40ml Espresso, a 110ml Lungo and a 25ml Ristretto. A button will flash for 25 seconds until the water is hot. When the light stops flashing, the machine is ready. Press and hod the button / function you wish to program. Make sure the machine is turned on and the water tank and the milk container is full. Release the button when you have reached the desired amount of milk. The button will flash three times to confirm the setting is stored. Press and hold the button again to set the amount of coffee you´d like. Release the button when you reach the desired amount of coffee. Do you want to restore the factory settings on your Nespresso Lattissima Touch®? Follow the instructions below. Turn on the machine and remove the milk container. 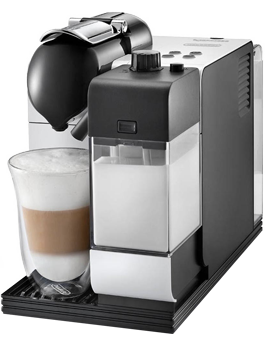 Press the Latte Macchiato- and Warm milk buttons together and hold them for 3 seconds. Then the hot milk button will flash. Press it to confirm that you want to restore the factory settings. On a Lattissima there are 4 different buttons. The two buttons on the right make Lungo and Espresso and the 2 buttons on the left make Latte macchiato and cappuccino. You can use the instructions below to set the cup size of your Lungo and Espresso as it suits you. The button will flash 3 times to confirm the new setting. Make sure the machine is turned on, and the water tank and the milk container is full. Now open the handle completely and load a coffee capsul. 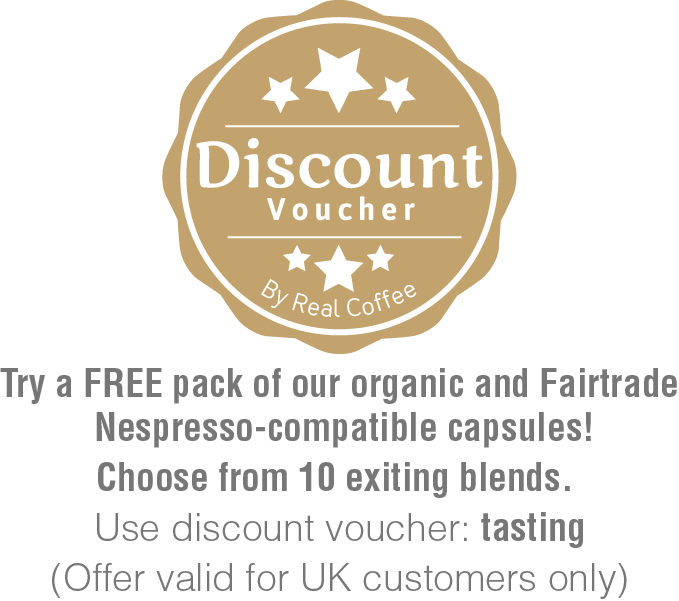 Do you want to restore default settings Nespresso® on your Nespresso Lattissima®? Follow the instructions below. Hold the power button for 5 seconds while the machine is on. The buttons will blink 3 times indicating that your machine has been restored to factory settings.